"In the old knowledge base, we couldn't find anything and it was a huge delay in work. Searchability and bringing everything into one place was the top priority." 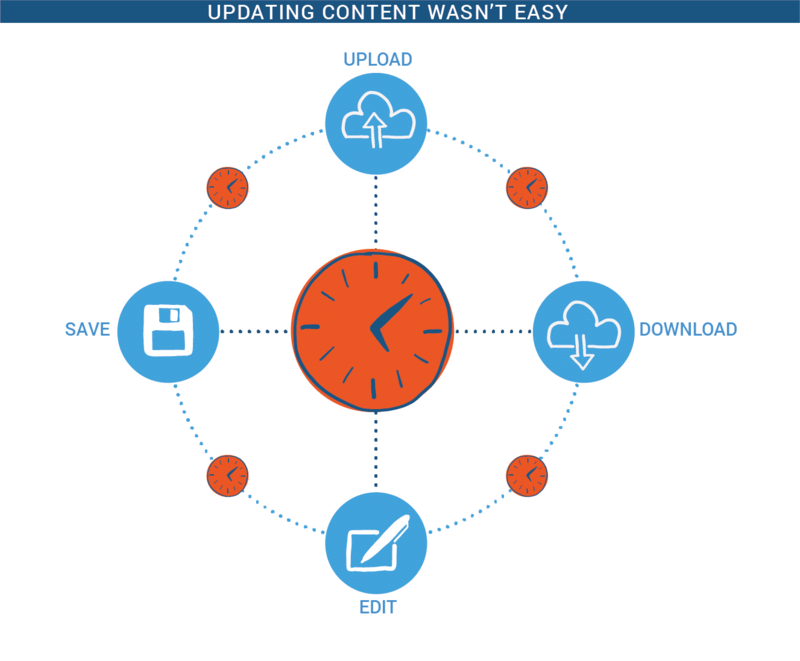 The Washington State Board of Community and Technical Colleges rolled out new software to several campuses and faced the same challenges that many enterprise-level organizations face when rolling out new software––helping employees learn how to use the new system in a way that can scale. When Corinne and Gretchen were put in charge of instructional design, they realized that creating training material for the new system was going to be a lot of work using their current workflow. We were using Word docs for all of our Quick reference guides and job aids, and they were being loaded manually onto the website. When changes were made, the Word doc had to be downloaded, updated, resaved, resubmitted (for approval) and re uploaded. Corinne and Gretchen also realized that employees could not easily find answers when they had questions about how to use the system. More than anything, we needed a way for everyone to search for the content. And the way that it was being uploaded prior, there was no searchability at all. This became a big stumbling block. Not only was it very time consuming to create content, but once it was created nobody could easily find it. When they were rolling out their new system, training became very overwhelming because resources and workflows weren't well established. When the new system went live, people really needed documentation. But those who knew the system well were so caught up in their support duties that the effort to create documentation fell on us. At first, we just had to consolidate everything into one place because there was so much stuff floating around everywhere. We were using a SharePoint type site that was horrible (and it continues to be horrible). Before ScreenSteps, people couldn’t find things. Fortunately, their team decided to invest in ScreenSteps, and simplify the documentation process. 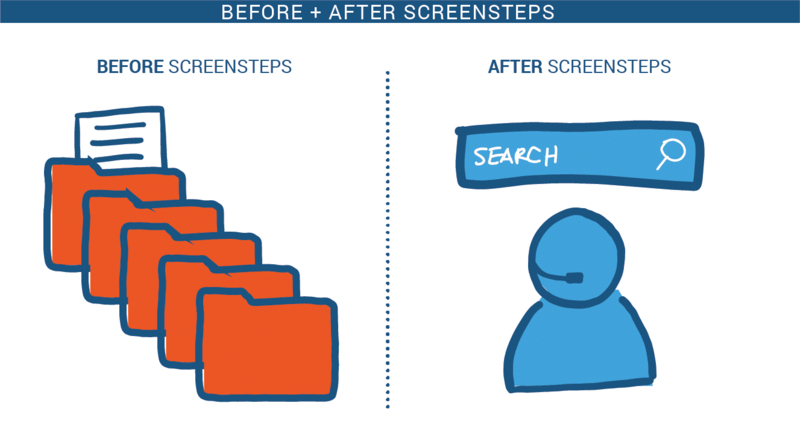 And because ScreenSteps makes it easy for employees to browse and search, implementation is more organized. Employees can now easily search for answers, and live training incorporates ScreenSteps tutorials into the sessions. One of the biggest sellers was searchability for the end-users. In the old system, not being able to find something was a huge delay in work. We didn’t quantify how much time was lost, but we knew it was slowing the process down. So searchability and bringing everything into one place was the top priority when starting. Something that has also been nice is that during our live training sessions, we will have the trainer use our quick-reference guides to explain the processes because that’s the easiest way to explain the steps. We use them for exercises, demonstration purposes, or additional references. Gretchen and Corinne are great instructional designers who work very hard to provide a great training experience to their co-workers. ScreenSteps just made it simpler to get their knowledge and their resources to the end-user when the end-user needs help.